SMAAASH - Games and Grub - CHOMP! SLURRP! BURP! All work and no play makes Jack a dull boy. This quote has been stuck in my head since idea of playing included bumpy cars and 90’s video game parlors. SMAAASH however smashes that idea with virtual reality, mini mystery rooms, shooting ranges, bowling, virtual cricket and Unforked – their bar and restro. Choose their buffet spread or their tid bits from their a la carte menu – we started with their vegetarian mezze platter – warm pita bread, lavaash chips, juicy falafel kebabs, pickled vegetables, tzatziki, baba ganoush and hummus. The lavaash chips were pretty dry but the falafel kebabs were amazing and juicy. Tempura stuffed mushrooms with thyme and basil – button mushrooms stuffed with cheese and spinach shallow fried with a sweet and sticky sauce and topped with bell pepper. The sweet chilly sauce, tempura fried and melted cheese is a delicious fusion. Tangra Chilly paneer – a very spicy paneer stir fry with bell pepper, this dish goes on the blackish side and is so so hot that it is not for the faint hearted, not for me at all. Peppery cheesy bites – cheese and black pepper stuffed in a spring roll sheet and crispy fried, served with a sweet chilly dip, the peppery bites and tantalizing to the last cheese pul. 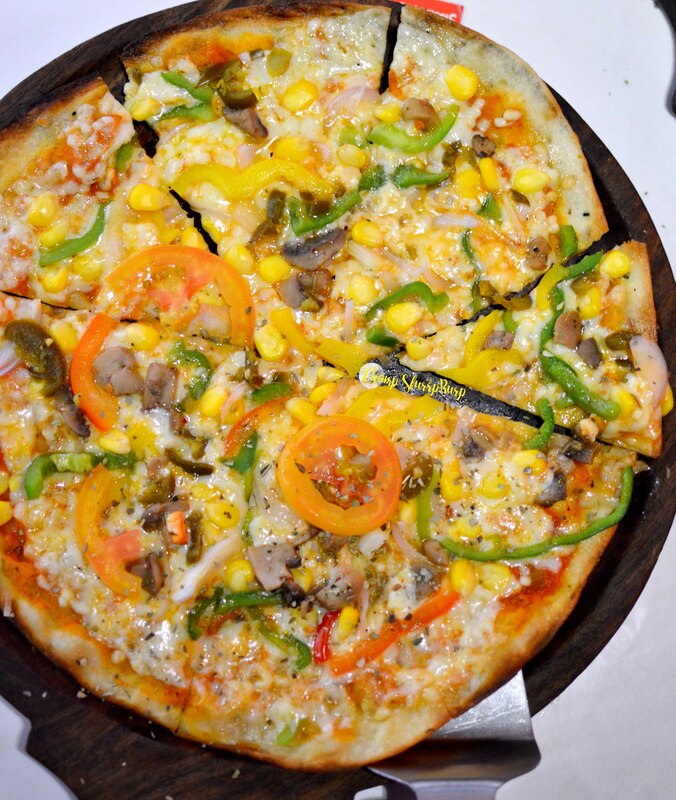 The Smaaash Lovers Pizza – not much of a looker, the thin crust pizza topped with bell pepper, sweet corn, tomatoes, mushroom and jalapeno. Times like these make you realize that the presentation is just as important as the real stuff. This pie was rather fine but the sloppily cut veggies marred the experience a little bit. For the desi grub – we hogged on Kalmi tangdi kebab, Afghani chicken tikka and Dahi ke kebab. Kalmi Kebab – juicy drumsticks stuffed with chicken keema and grilled, top it with some lime juice and mint chutney for best results. The afghani chicken tikka, marinated in cream is a nice juicy and creamy tikka. Dahi ke kebab – flat patties made with thick yogurt, toasted and topped with chaat masala. I prefer my dahi ke kebabs with a wee bit of sweetness and these were rather on the spicy side. 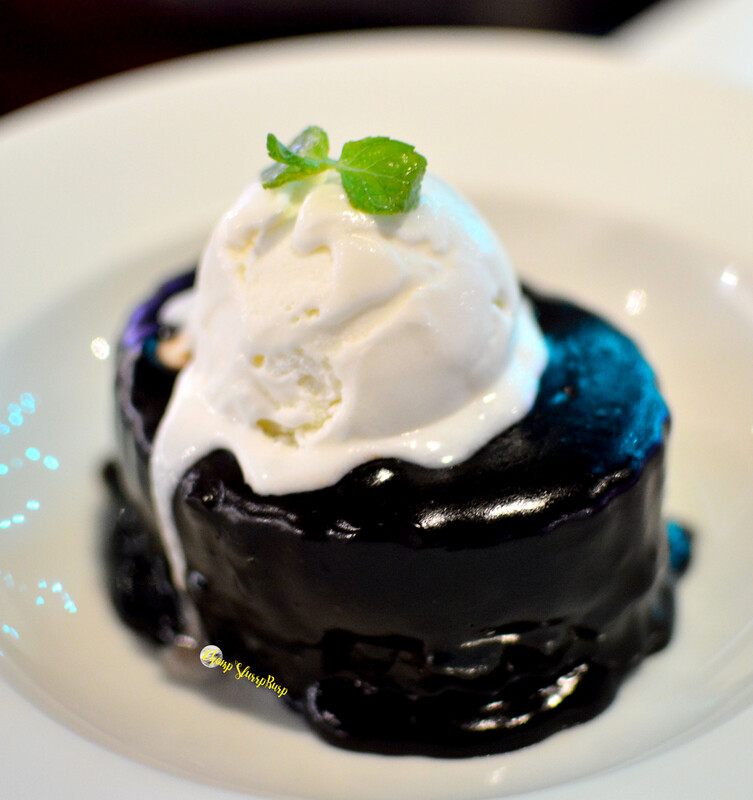 We ended our meal with their Bull’s Eye Brownie – the chef has created the brownie like a bar of snickers, a tad sticky with nuts and drenched in chocolate sauce. A very sinful dessert topped with vanilla ice cream. 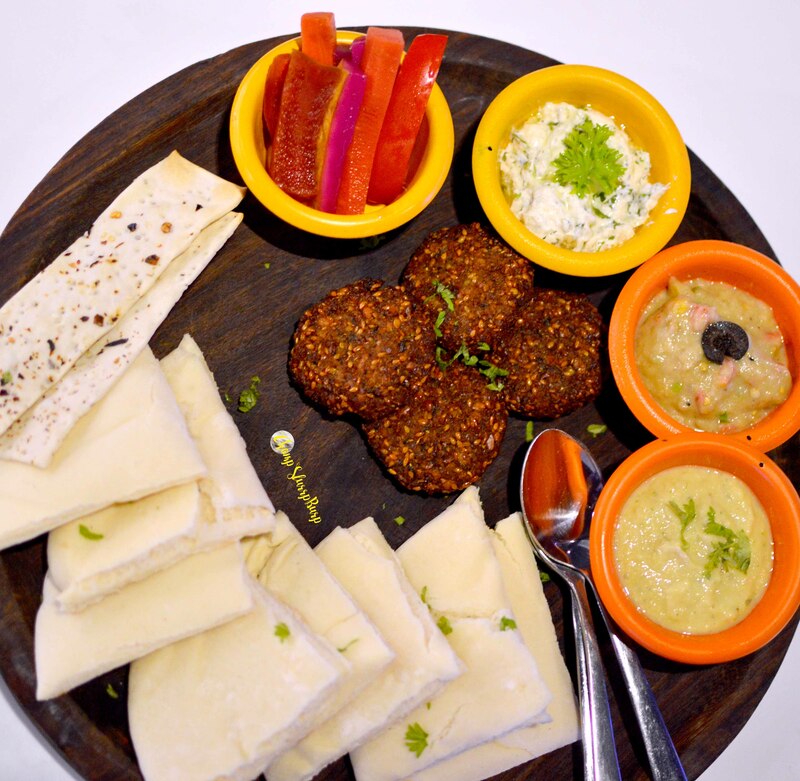 SMAAASH is awesome for an evening out with buddies and bar bites – the mezze platter, peppery bites are a must have.